The way we network and connect may have massively changed in the past few years thanks to an explosion of social networking tools and apps, all ready to help us collaborate with a single tap, but one staple of old business practices remains: the humble business card. A simple, elegant slip of paper featuring a person or business’ name, branding, and contact information is still a very common tool for making important business contacts and establishing potentially fruitful relationships. Business cards have evolved in the last few years. On the one hand, there’s a nostalgia for the elegance of old. Lately we’ve noticed a trend in letter press business cards, which have a sophisticated, textured presentation. There are also a wide range of different sizes and formats, and special die cut shapes and effects like foil stamping, or super thick cards made possible with new printing technology. On the other hand, business cards have also gone digital, and some of them offer digital engagement features like QR codes that you can scan with a smartphone to download contact info or visit a website. There are also several apps out there to help you scan and organize the business cards you receive, some of which sync with popular cloud-based contact databases you may already use, and startups are busily creating apps that all hope to become the digital business card of the future. If you’re looking to shake up how you make business contacts, drop us a line! 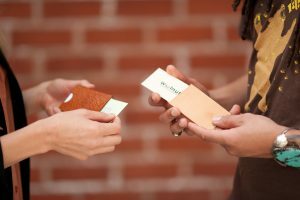 We also create unique and memorable business cards, and we’re here to help. A little while back, we covered a DIY fashion trend in which people were customizing their own garments with patches to add a little personal flair. It turns out there’s another trend going on in haute fashion circles: un-branded luxury products have now become chic and desirable to some consumers. Rather than wield their logo-splashed Louis Vuitton bags, these fashionistas are sporting luxury handbags that feature either a minimized logo or none at all. What to make of this phenomenon? Well, it does seem to indicate that some consumers are striving to express their own personal identity rather than channel it through a major label. Maybe it’s a way to express an even more exclusive affiliation—a sort of secret club or coveted entry into a fashion speakeasy, if you will, where it’s simply gauche to wave the signs of your success—your Coach bag and your Hermès scarf—in front of the have-nots. It’s also possible that some of these same consumers place a higher premium on the quality of the product rather than the brand name or logo. This brings to mind the popularity of Muji, the popular minimalist Japanese company whose full name Mujirushi Ryohin literally means “no-brand quality goods.” As our ideas of branding change and become more sophisticated, how will this impact your branded your promotional items? We’re on it. Contact us for details. Thanksgiving is nearly here, and right after we’ll be observing a cluster of related events—many of which are consumer-focused, some of which are oriented towards social good: Black Friday, Small Business Saturday, Cyber Monday, and Giving Tuesday. If you’re feeling a little overwhelmed at this moment, trying to figure out where you should be focusing your attention, don’t feel bad. A lot of people are! Here at branding ideas℠, we’re here to help you make sense of the dizzying area of events that are coming up so you can figure out which ones to participate in, as well as how to stay balanced and centered amidst the holiday frenzy. Black Friday. This annual shopping megathon has become rather notorious for its focus on hyper-consumerism, and each year people get really worked up and stressed out trying to find deals on products they want to buy. It doesn’t have to be this way, however. You can use this post-Thanksgiving period to instead engage in mindfulness and emotionally prepare for the holiday season so that the hustle and bustle doesn’t define your experience. Small Business Saturday. If you are a small business, then it may be worth your while to participate in the yearly #ShopSmall campaign that encourages consumers to patronize their local businesses, thereby stimulating the local economy rather than sending their hard-earned money off to giant big box retailers. Small Business Saturday has a special appeal in that it fosters a sense of local community, which can be beneficial to everyone’s well-being. Cyber Monday. The online counterpart to traditionally brick-and-mortar Black Friday, Cyber Monday is another massive shopping event. Some major chains are even unveiling their coveted deals a few days in advance, heightening the anticipation around the day. However, as with Black Friday, it’s wise to consider indulging yourself in a different way—with a mindful approach to spending that curbs unnecessary purchases. That way you can be sure that the items you buy will truly add meaning and joy to your life and others’ lives. Giving Tuesday. Thanksgiving is all about gratitude, and Giving Tuesday aims to put that sentiment into action. You can help others by donating your time (as a volunteer), donations, or even goods to a social justice cause of your choice. Here at branding ideas℠, we have a related tradition (going on 10 years strong now!) in which we pick three or four charities each year and ask our clients to vote on the ones they’d like us to donate to. We then donate our charitable giving budget based on the breakdown of the vote tally. Whatever your business or focus in work, this is a perfect time of year to take a brief pause and experience the gratitude of the season, then take mindful steps to express it to others with charitable giving or thoughtfully selected gifts. We at branding ideas℠ are your consultative partners, ready to make the process of choosing corporate holiday gifts smooth and even enjoyable. 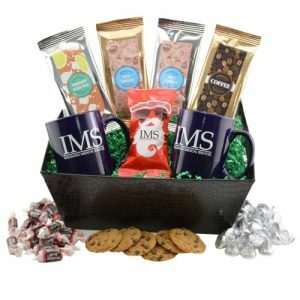 Are you wondering how your company, nonprofit, school, association, or other organization can reward and acknowledge your staff, colleagues, business partners, clients, or honorees with the right gift this holiday season? Let us help you choose appropriate items for your organization that will thoughtfully express your gratitude and appreciation. Check out our holiday board on Pinterest, reach out to us on Twitter and Facebook, or call us at 877-881-6845. We’ll be glad to advise on ways you can make a positive impression through well selected gifts. As 2016 draws to a close, many of you may be in the midst of planning a holiday party or end of year party. Traditionally, this is a time of year when many businesses, organizations, schools, and nonprofits take a moment to celebrate their milestones—and that includes recognizing exceptional contributions or achievements. One way to do so is with by giving your staff, business partners, colleagues, or honorees a thoughtful holiday gift. Another way to honor hard work and loyalty is through special awards, plaques, or certificates. If you’re giving awards out to your top dealers or franchisees, who’ve made great successes in advancing your business, or if you’re recognizing the accomplishments made at your nonprofit, school, or other organization, we’re here to help you choose an appropriate way to celebrate. 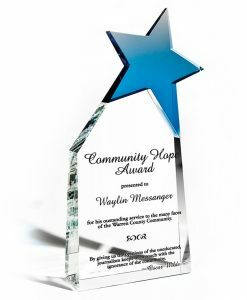 If you need a way to recognize members at an end of year industry event for your trade association, professional organization, clubs, school or organization, we can help you find an award that stands out. Both strikingly gorgeous and useful, crystal paperweights are a great reminder to your employees, business partners, colleagues, or honorees of how much they are valued. With your logo appearing alongside words of recognition and achievement, this attractive gift will be a stately presence on any desk, bringing smiles year-round. 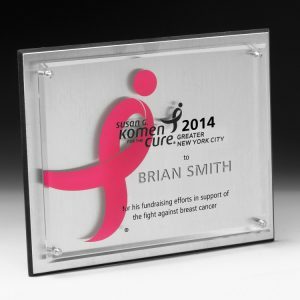 If you want to recognize someone’s accomplishments, a plaque is a good choice. There are many decoration and branding options available, allowing your organization to craft a meaningful message in honor of the occasion. It will likely find a place of honor on that person’s office or cubicle wall, reminding them each day of how much they are appreciated. These glittering awards aren’t just for awards shows you see on TV. They are also perfect for a major occasion such as a holiday party or a gala in which you are honoring and celebrating the accomplishments of your team. A crystal award is an enduring symbol of the esteem in which you hold your awardee, and it will be cherished for years to come. 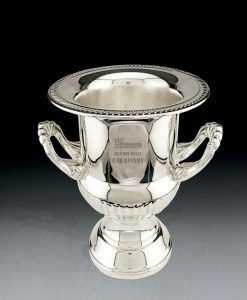 As sports fans know well (especially hockey fans with their Stanley Cup), a trophy cup represents the pinnacle of achievement and success. If there is someone you know who has truly excelled in their role, surpassing all expectations or perhaps having contributed a lifetime’s worth of career accomplishments, this is an elegant and memorable way to honor them. There are, of course, many other varieties and versions of the awards you see here—this is just a curated list to get you started. If you’re thinking about what gifts to get your employees, colleagues, clients, or honorees in a more general sense, check out our tips on corporate holiday gift-giving. We also have some pointers on how to plan a holiday or year-end party that everyone will enjoy. Wondering if there are other kinds of awards that might be a good choice for a holiday party or other occasion you have in mind? Don’t hesitate to reach out to us for advice. If you could benefit from some creative and collaborative brainstorming, we’d be happy to share some recommendations. Connect with us on Twitter and Facebook or call us at 877-881-6845 and we’ll be glad to advise you on custom branded promotional products that can represent your brand with style and grace. Are you ready for the holiday season? Looking for a great corporate gift or special present for your employees, clients, or business partners? Holiday gift sets are a good choice for this occasion. From trendy Moscow Mule gift sets to tech gift packs for the gadget obsessed, you can find something great that everyone will enjoy. Here are gift set ideas that are especially popular this time of year, with suggestions on who they’d be a good fit for. If you’re trying to decide which direction to go in, we find that it’s usually most effective to select a gift that matches your company’s messaging or a specific theme you may be working with (for an event like a holiday party, for example). We specialize in helping companies figure out what works best for them, so don’t hesitate to reach out to us at the contact points listed below for a conversation about your needs and how we can be of help. Craft beer and mixology have become very popular in recent years, and the Moscow Mule cocktail features them both. It’s a lovely warming cocktail, perfect for winter, and our gift set has everything needed to for two people to enjoy it while relaxing over the holidays. This would be a great pick for clients or colleagues who have a special interest in spirits or craft beer. #2. Hot Sauce Gift Set Lots of folks, especially but not only people from the South, enjoy having hot sauce on hand to enhance the flavor of a dish. A hot sauce gift set such as this one that includes cayenne hot sauce, spicy salsa, and barbecue sauce will be especially appreciated by someone who prefers their food with a kick. With your logo prominently and tastefully showcased, it’ll be a nice reminder of your company every time they reach for a dash of something spicy. It’s not always about the food and drink—some of your clients or employees may have a special fondness for writing and fine stationery. For those who enjoy the written word, a Moleskine® Writer’s Gift Set is an especially fitting choice. 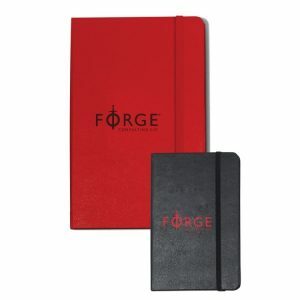 It features a pair of notebooks, one for more extensive journal writing or note-taking and another, smaller version that’s great for jotting down thoughts on the go. These days, everybody has a gadget or device they’re keeping charged or synced up while working or going about their daily lives. 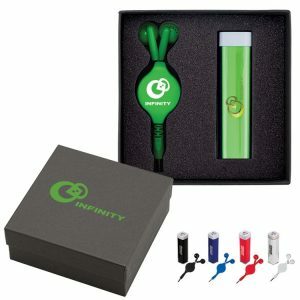 A tech accessory gift set fully equipped with the tools they need to stay connected is a perfect corporate or promotional gift for the holidays since it’s so useful. This one (above) features retractable ear buds and a handy power bank, but there are plenty of other combinations including power banks and car chargers, power banks and key chains, and complete mobile charging sets. Wondering if there are other kinds of gift sets that might be a good choice for holiday corporate gifts or a holiday event you have in mind? Don’t hesitate to reach out to us for advice. If you could benefit from some creative and collaborative brainstorming, we’d be happy to share some recommendations. 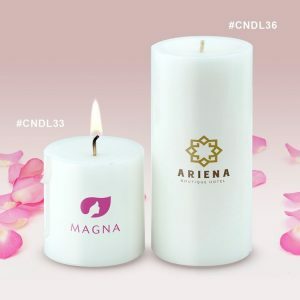 Connect with us on Twitter and Facebook or call us at 877-881-6845 and we’ll be glad to advise you on custom branded promotional products that can represent your brand with style and grace. Halloween is in the books, and that means we are heading directly into the festive winter season. Holiday decorations are already going up here in New York! As the season revs up, you may be wondering how to decide what promotional gifts to pick for your staff, clients, and business partners. 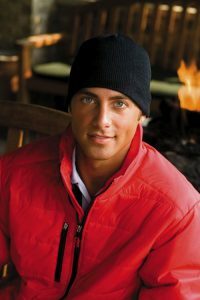 As we often say, promotional products are especially popular when they are useful—and gifts that are perfectly suited to winter are more likely to be appreciated for seasons to come. With that in mind, here are the top ten winter promotional gifts that we recommend for the blustery months ahead! #1. Blankets. 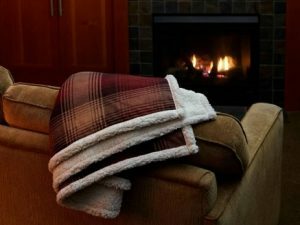 Ask a busy professional to picture their dream winter vacation and chances are it involves a fireplace and a cozy blanket? Blankets are a crowd-pleaser. 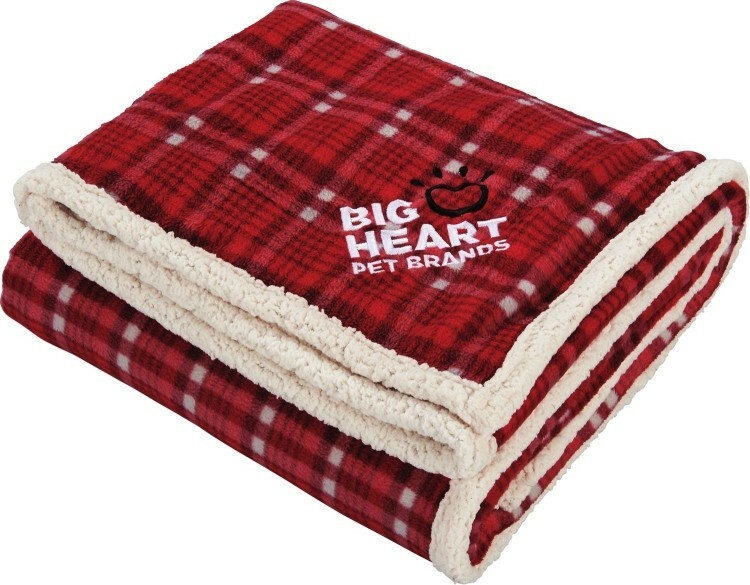 Cozy, snuggly, and comforting, they make a thoughtful winter gift for your valued employees and treasured customers. #2. Mugs. As the temperatures drop, your customers will probably reach for a mug of hot tea or cocoa to keep warm. 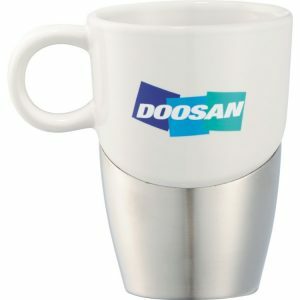 A high quality mug with your branding on it is a thoughtful gift they’ll appreciate for years to come, whether they’re enjoying a cuppa at home at breakfast time or sipping some green tea at the office. #3. Candles. If your customers and employees could add one item to that cozy winter scene, it would probably be a candle. They’re relaxing, lovely, often fragrant, and create a perfect atmosphere for the holidays. #4. Ice scrapers. If you like in a cold climate like we do here in the Northeast, then you know anybody who drives needs a trusty ice scraper to get them up and running after a snow or ice storm. Business partners and customers will appreciate having one of these on hand, compliments of your company, as winter approaches. #5. Gloves. If your clients are going outside to scrape the ice off their windshield, chances are they’re going to need a nice pair of gloves too! 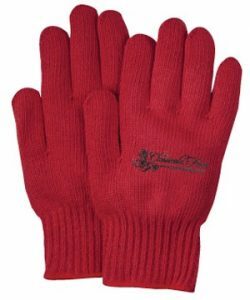 They’re essential for protecting our hands from the elements in the dead of winter. #6. Lip Balm. As the weather gets colder and drier, your clients, staff, and business partners may find the delicate skin on their lips is prone to chapping or even cracking. 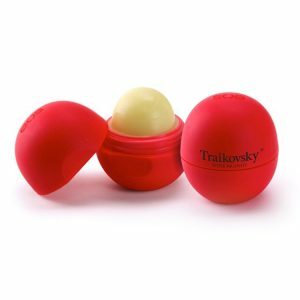 Lip balm comes in very handy on freezing, blustering days and is particularly useful for travel. #7. Hand sanitizer. Cold and flu season is already well underway. Hand sanitizers are handy for guarding against seasonal bugs, especially since they’re so convenient and portable. They make a great promotional gift since they show care and concern for your clients’ and employees’ well-being. #8. Beanie caps. 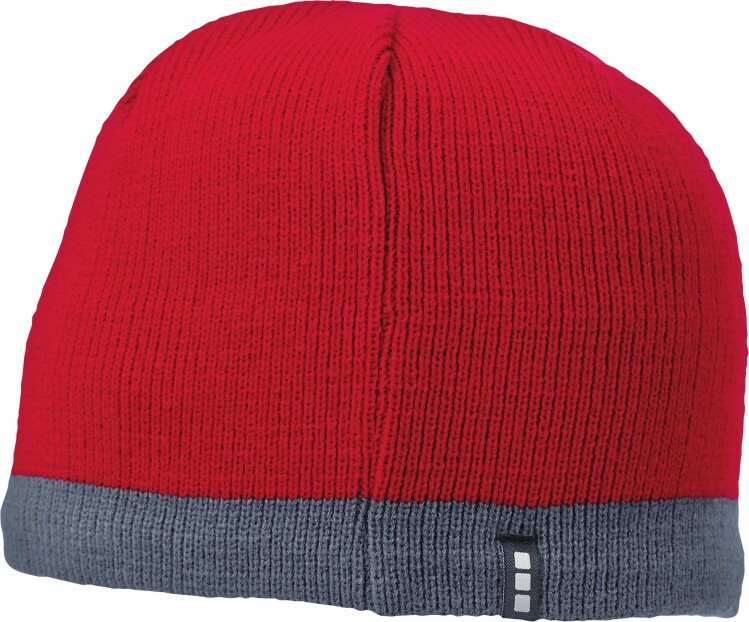 When it’s frigid outside, beanie caps keep your clients’ ears and heads warm. Whether they’re out running errands or catching a football game, a tasteful logo will on the cap will be a positive reminder of your business. #9. Fleece Jackets. These are very convenient to have when winter rolls around, as they keep the wearer toasty and comfortable even in cold weather. 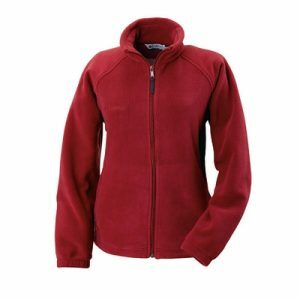 Fleece jackets are a great choice for both men and women, and they come in a range of styles and colors—even co-branded fleece jackets from the popular outdoors brand Columbia are available. #10. Scarves. As soon as the season changes, you’ll see people donning scarves before heading outside. 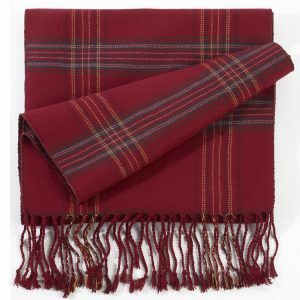 Scarves are a practical means of staying warm as well as an elegant fashion statement. 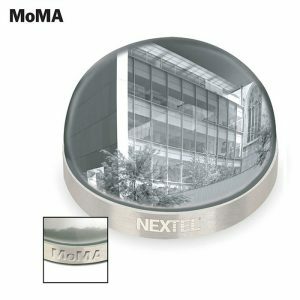 As a corporate gift, they can also be an elegant reminder of your business. 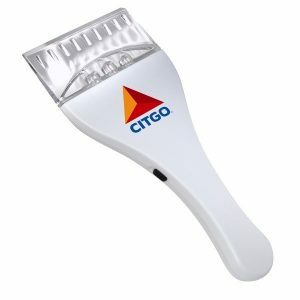 Wondering if there are other promotional products that might be a good fit for a winter campaign or holiday event you have in mind? Don’t hesitate to reach out to us for advice. If you could benefit from some creative and collaborative brainstorming, we’d be happy to share some recommendations. Connect with us on Twitter and Facebook or call us at 877-881-6845 and we’ll be glad to advise you on custom branded promotional products that can represent your brand with style and grace. The holidays are almost here! Although we haven’t seen many decorations go up yet here in New York, that will likely change right after Halloween. If you’re thinking of giving corporate gifts over the holidays or if you’re beginning to plan a holiday party, you might be at a loss for what type of gift to select. Never fear! We’re here to help. Here are 5 gift-giving tips for the holiday season that will help make sure your present is met with a warm smile of appreciation. Get them something they’ll like. Gifts are most appreciated when they speak to someone’s unique interests. Does your client or employee has a favorite sport, a special hobby, or a pastime that they particularly enjoy? Then select a gift to match, like a Moleskine journal for a budding writer, a cheese plate for a foodie, or a power bank for a gadget-loving techie whose batter is always running low. Take care with the presentation. Although the gift itself is the star of the show, presentation also matters. Make sure to have your gift festively or stylishly wrapped so that it will make a positive impression, and don’t forget to add a personalized, handwritten note to show you’ve taken special care in selecting the present. Take cost into consideration. No one wants to receive a cheap-looking gift, but it can also be awkward to receive an excessively expensive present. Aim instead for a thoughtful, quality gift that is not ostentatious but in good taste. 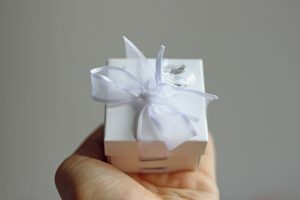 If you have a corporate gift-giving policy, it may spell out precisely what you are allowed to spend on holiday gifts. Be careful about regifting. 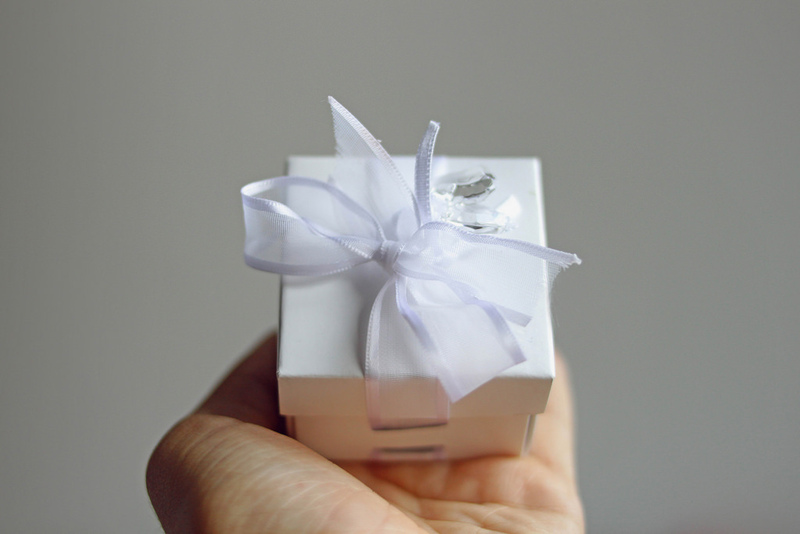 Although regifting is becoming more commonplace, many people still prefer to receive an original gift that was selected just for them. You want to convey genuine feeling and sincerity, so make sure that the gift is still something they will like. It’s also wise to avoid regifting a present if the original giver is either likely to be there or could somehow find out. For more etiquette tips, check out our post on etiquette for corporate holiday gift giving. Be the life of the party. If you’re giving a gift to a group of people in an office, make sure there’s enough of it for everyone to enjoy. Generosity is always appreciated at this time of year, so you may want to opt for a nice gift basket, chocolate truffles, or a cookie tin that is loaded with tasty goodies. Are you wondering how you can surprise and delight someone with the right gift this holiday season? We’d be happy to recommend some fitting choices that will thoughtfully express your gratitude and appreciation. Check out our holiday board on Pinterest, reach out to us on Twitter and Facebook, or call us at 877-881-6845. We’ll be glad to advise on ways you can make a positive impression through well selected gifts. November is around the corner, and it’s really beginning to feel like fall around here in NYC. Temperatures are dropping, and there are even a few leaves changing color. 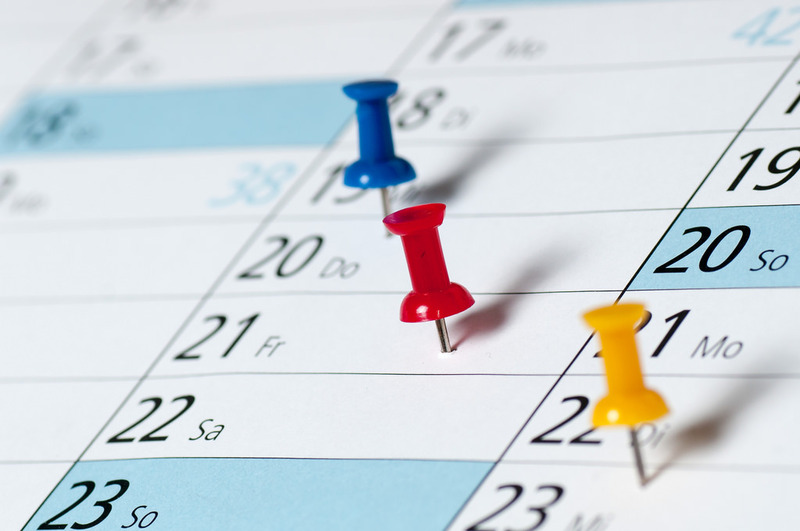 To help you prepare for your fall campaigns, here’s a full selection of November holidays, events, and awareness dates that will keep your business or organization top of mind with clients and business partners as the season changes. They’re well suited for promotional giveaways, and they range from fun occasions to more serious, meaningful remembrances. It feels like it’s a little too soon, but yes, Daylight Saving Time is drawing to a close at the beginning of November. Savor those evening sunlight hours while you can, and don’t forget to turn your clocks back on November 6 (if you still have analog clocks or watches, that is)! Unless you’ve been living under a rock, you know that here in the U.S. we are about to have a Presidential election. And depending on where you live, there may still be time to register to vote. Whatever your political affiliation, make sure your voice is heard this year! As we’ve written here on the blog, Veterans Day honors the many men and women who have either served or are currently serving in the U.S. Armed Forces. Originally known as Armistice Day, it was created to mark the end of World War I (also known as The Great War). Celebrated each year on November 13, World Kindness Day is a wonderful opportunity to appreciate the benefits of sharing kindness with the people in our lives. For more information, check out our blog post from last year on five simple ways you can give others the gift of kindness. Observed on the fourth Thursday of November in the United States, Thanksgiving is an occasion to give thanks for the harvest and the blessings of family and friends. As we wrote last year on the blog, Thanksgiving is a perfect occasion to express gratitude and enjoy all the benefits it has to offer. It’s also a perfect opportunity to show your appreciation with a Thanksgiving gift such a Thanksgiving greeting card or a Thanksgiving basket. Observed on the Friday immediately following Thanksgiving since 1932, Black Friday officially kicks off the holiday shopping season. Many U.S. retailers open early and offer special promotional sales on this day. Since the arrival of the Internet and online shopping, Cyber Monday has been observed as an online counterpart to the traditionally brick-and-mortar Black Friday. Many American consumers snap up special digital offers on Cyber Monday. Created in 2012 as a response to the commercial nature of Black Friday and Cyber Monday, Giving Tuesday aims to create an international day of philanthropic giving at the beginning of the holiday season. Interested in getting involved? Here’s how businesses, nonprofits, and individual donors can be a part of Giving Tuesday. National Animal Shelter and Rescue Appreciation Week encourages people to become acquainted with their local shelters and rescues and learn how they can assist their lifesaving work. Here are ten ways you can help your local shelter or rescue. You can also celebrate pets with special branded pet accessories such as a water bowl for dogs, a flyer or Frisbee, or a pet collar. Observed on the week before Thanksgiving, at a time when people across the country are giving thanks for what they have, National Hunger and Homelessness Awareness Week seeks to raise awareness about poverty, hunger, and homelessness while building support for the work of local anti-poverty agencies. Lung cancer claims more lives each year than breast, prostate, and colon cancers combined, with just a 16.8% five year survival rate. Lung Cancer Awareness Month promotes awareness of the dangers of lung cancer and the important work required to fund research leading to better diagnosis and treatment. Observed each November, Movember is a movement to highlight the importance of men’s health—particularly the prevalence of young men passing away too early in life due to prostate cancer, testicular cancer, and mental health problems. Many men grow a mustache and raise funds for men’s health during Movember. Your business can help promote awareness with a range of branded mustache promotional products including mustache key chains, mustache stickers, and mustache pens. There are nearly 15 million Alzheimer’s patients and caregivers in the U.S. Begun by President Reagan in 1983, National Alzheimer’s Disease Month aims to raise awareness about both the rise in Alzheimer’s diagnoses and the importance of honoring and supporting the caregivers of people with Alzheimer’s. Diabetes affects many American lives, and National Diabetes Month seeks to raise awareness about the disease and its impacts. This year’s theme is focused on managing diabetes and living well with the disease, mitigating the ways it can compromise a diabetic’s quality of life. Each year, participants in the global National Novel Writing Month (aka NaNoWriMo) event challenge themselves to write a 50,000-word novel by 11:59 PM on November 30. They track their progress online and find a fellowship of supportive fellow writers along the way. AIDS Awareness Month aims to increase public awareness and support of people affected by the AIDS pandemic, which has caused an estimated 39 million deaths worldwide to date as of 2014. Awareness events held during this month aim to help prevent the transmission of HIV/AIDS as well as to reduce the stigma and discrimination that many people living with HIV/AIDS still face today. Wondering if there are promotional products that might be a good fit for fall or the upcoming holiday season, or do you have a particular project or campaign on your radar we can help with? Don’t hesitate to reach out to us for advice. If you have an idea in mind that might benefit from some creative brainstorming, we’d be happy to share some recommendations. Connect with us on Twitter and Facebook or call us at 877-881-6845 and we’ll be glad to advise you on custom branded promotional products that can represent your brand with style and grace. October is National Cyber Security Awareness Month, and in honor of the occasion we’d like to share some tips on how you can better protect yourself and your company online. These days it seems the headlines are always filled with news about a massive data breach—Yahoo is just the most recent example. Business owners everywhere are wondering how they can avoid an attack or unwanted intrusion. 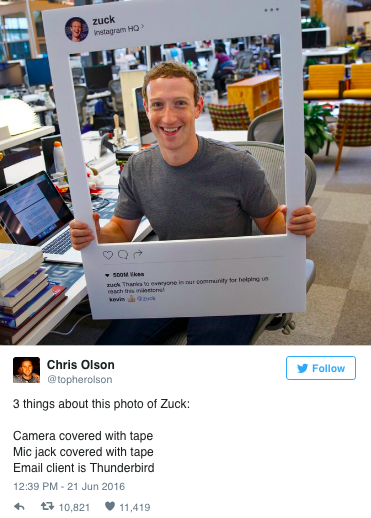 Facebook’s Mark Zuckerberg even tapes over his webcam, as people who saw Snowden know (we recommend dark tape, by the way, not transparent tape). Here are 5 cyber security tips you and your business can use right away to stay safe and secure online. Keep your computers up-to-date and virus-free. You know those software updates that keep vying for your attention as you’re working on your computer? They’re there to help you. It’s wise to keep your computer, mobile devices, and any other connected devices you may use fully updated so they have the latest patches. Don’t forget to run regular anti-virus and malware scans to keep your PCs safe as well. Safeguard your login information. Regularly update your password and make sure that it’s secure. If your online accounts offer additional security tools such as two-factor authentication, one-time security keys, or biometrics, take advantage of them. You’ll be glad you did. It’s also wise to have a unique username and password for each site you use. A password manager can help you safely keep track of them all. Be careful about how you connect. Phishing and spear phishing are common exploits that cybercriminals use to stage their attacks. If something looks fishy about an email, it’s best to delete it. Likewise, be judicious about using Wi-Fi hotspots. Open, unsecured wireless networks are generally not safe for conducting online transactions of any kind. Also, make sure the sites you do business with use HTTPs, a secure form of HTTP. You’ll notice it by the ‘s’ that follows the HTTP in the web address (i.e. https://). Stay on top of emerging threats. As Internet users become more sophisticated, hackers do too. Inform yourself about new threats as they emerge and adjust your online behavior accordingly. Promote safe online practices at your business, and don’t forget to back up all of your data regularly. Be aware of how you share your information. Although we might take steps to protect our money and assets in the real world, we don’t always stop to think of how our valuable our digital identities are as well. Protect your login information, never share it with anyone else, and be cautious about which websites you choose to give it to. Take advantage of privacy settings on the websites and apps you use—they’re there for your protection. Although it can sometimes seem challenging to keep up with best practices on staying safe online, there is some good news: There are a lot of places where you can get the information you need to protect your business. Stop Think Connect is a good place to start, as is the Department of Homeland Security’s page on National Cyber Security Awareness Month. 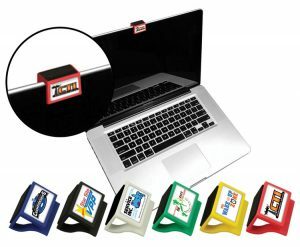 If you want to promote your brand while encouraging your team or clients to be aware of cyber security, we have small, easy to mail brandable webcam covers that put your name in front of your client while they’re using their computer. That’s just one of the many branded items we have that can help keep your business top of mind with your clients. If you’ve got a campaign or promotional initiative in mind, we can assist. Get in touch with us on Twitter and Facebook or call us at 877-881-6845 and we’ll be glad to advise you on the right products that can represent your company with grace and style.